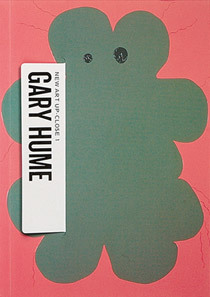 The internationally renowned British painter Gary Hume is the subject of the first title in our New Art Up-Close series. The book illustrates 29 carefully selected artworks spanning Hume's career, including important works from his early 'Door' and 'Rome' series, his later 'Garden', 'Water', and portrait paintings, and his more recent flower series. Also included are some of his less well-known artworks, showing his use of video, photography, and drawing. The interview with Hume focuses on his working process: how and why he paints with gloss paint on aluminium, how he selects imagery and colours, and the difficulty of deciding when a painting is finished. The book also includes a short biography and further reading list, as well as explanatory notes covering Hume's influences and ideas that lie behind each featured work. Gary Hume was part of a celebrated group that studied at London's Goldsmiths College in the late 1980s. The public first saw his work in the near-legendary 1988 exhibition 'Freeze', organized by fellow student Damien Hirst. The door paintings that Hume displayed in 'Freeze' captured the attention of critics and collectors alike: over the space of a couple of months he went from being an unknown student to a sought-after young artist. Since then his imagery has developed, and he has come to be seen as one of the leading artists within a new generation of painters. Hume was nominated for the Turner Prize in 1996, represented Britain at the Venice Biennale in 1999, and was elected a member of the Royal Academy of Arts in 2001. He lives and works in London and New York and continues to exhibit internationally. To purchase this book, click on the 'Buy Now' button above. ... they [the New Art Up-Close books] provide an innovative and eloquent primer on artists whose work you may wish to explore further ... ideal for artists or art students seeking inspiration or affirmation.